Previously announced Eden Kane will regretfully step away from the Solid Gold Rock ‘N’ Roll show 2019 UK Tour due to heart surgery which he is recovering from and making great progress. Added to the the line-up of the original Dreamboats of the era will be US superstar Charlie Gracie, joining Marty Wilde who headlines the tour as part of his 80th Birthday celebrations, as well as Mike Berry and very special guest ‘Little Miss Sixties’ Nancy Ann Lee. 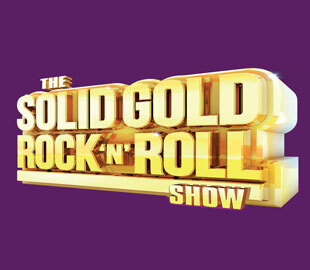 Join us in celebrating Marty Wilde’s 80th birthday, together with special guest from the USA Charlie Gracie, plus Mike Berry, and The Wildcats, as well as very special guest Little Miss Sixties, Nancy Ann Lee as they join forces in The Solid Gold Rock n Roll Show.